Grand Theft Auto V is the best-selling videogame of all time in the US. According to Take-Two and market research company The NPD group, the game has sold more than 85 million units. Grand Theft Auto V is one of our best PC games. In a financial report issued by Take-Two, the company announced that since July 1, 2017, Grand Theft Auto V has become the best-selling videogame of all-time. That figure is valid in terms of both the amount of copies sold and the amount of money made, and is based on combined digital and physical sales across all platforms. It seems like that success is ongoing, as Grand Theft Auto Online also continues to do well, recording its best quarter so far. 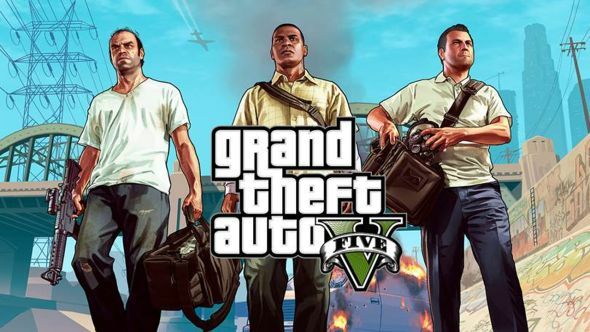 That success looks set to spread, with recent announcements that Rockstar won’t be releasing single-player DLC for Grand Theft Auto V, nor will Take-Two be producing games without service elements for the forseeable future. Despite the success they’ve already seen this year, Take-Two are expecting to be able to build on that next year. The company expects their 2019 financial year to be even bigger than 2018’s, with the release of Red Dead Redemption 2, “and a highly anticipated new title from one of 2K’s biggest franchises.” While Take-Two and 2K are staying quiet on that so far, it looks pretty likely that that new title will be Borderlands 3.